Maintenance of accurate historical records is of major importance to all professional organisations. 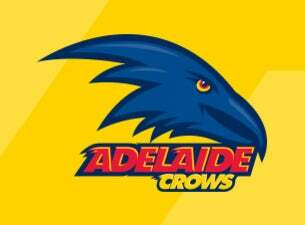 It is appropriate then that the Adelaide Football Club tells the story and itemises the sequence of events which brought about the formation of the club and its entry into the Australian Football League. First commitment to such a course came as long ago as Friday June 12th, 1981, when at a special meeting of the South Australian National Football League, the then League Directors voted unanimously to support an application for the inclusion of an SANFL team in the Victorian Football League competition commencing Season 1982. 1. The team be corporately owned and managed by the SANFL. 4. Football Park be its home ground, and it establish playing, training and administrative headquarters at that venue. An SANFL delegation comprising Messrs. M.R. Basheer (President), R.W. Lee (Vice President), J. Swain (Director) and D.V. Roach (General Manager) presented this application to a full meeting of the Victorian Football League in July 1981. On August 27th, 1981, the VFL advised that the application for entry into Season 1982 had not been approved, but that it wished to continue discussions on the possibility of a team being accepted in 1983 or 1984. Discussion and negotiations did continue through 1983 and 1984, and on through 1985 and 1986: but to no avail. On May 21st, 1986, the SANFL formed a company, Adelaide Football Club Incorporated, with all issued shares in the said company owned by the league. Discussion and negotiations with the VFL continued through 1987, 1988, and 1989, still without agreement reached; and in 1990 the VFL became the Australian Football League. Then, notwithstanding the unanimous resolution of the SANFL clubs in May 1990 that a team would not be entered into the AFL until season 1993, the Port Adelaide Football Club, in July 1990, reached heads of agreement with the AFL to enter a team into its competition in season 1991. The other nine league clubs reacted strongly and entered into litigation in an endevour to halt Port's bid. It was noted that terms and conditions offered to Port Adelaide in respect to its proposed entry, were significantly more favourable than those which had previously been offered to the SANFL in respect to a composite team, and in September 1990 the league officially applied to the AFL for the admission of the Adelaide Football Club under terms and conditions similiar to those offered to Port Adelaide. At the Australian Football League meeting held on 19th September 1990, directors voted in favour of the Adelaide Football Club application. The Adelaide Football Club was well and truly alive. The SANFL moved immediately to protect and secure playing strength for the new club. South Australian football legends Bob Hammond and Neil Kerley were co-opted to work with SANFL Administration Manager, Murray Tippet, to identify, commit to, and contract required players. There can be no doubt that 1991 playing performance reflected their dedication and professionalism in fulfilling this assignment. The Head Licence between South Australian National Football League and the Australian Football League was signed on October 11th, 1990. At a meeting of Directors held on October 12th, 1990, the SANFL elected the Inaugural Board of the Adelaide Football Club comprising Messrs. M.R. Basheer (Chairman), R. Allert, E. Betro, R. Hammond, R.W. Lee, A. Sutter and L.R. Whicker. This board, which was to act in an interim capacity until such time as a permanent board could be elected at the Annual General Meeting of the SANFL, first met on Monday, October 15th, 1990. It took responsibility for setting the structure of the club, for negotiating agreements, for launching the club and for all planning and activity associated with early operations of the club. The Inaugural Board at its meeting on February 13th, 1991 agreed and signed the Sub-Licence Agreement between SANFL, AFL, and AFC. The Inaugural Board last met on February 20th, 1991. It had made a huge contribution to our formation. At the Annual General Meeting of the South Australian National Football League on February 25th, 1991, directors of the league elected the first permanent board of the Adelaide Football Club. When this board first met on Tuesday, February 26th, 1991, Adelaide Football Club had been well and truly formed - long may it survive and prosper.